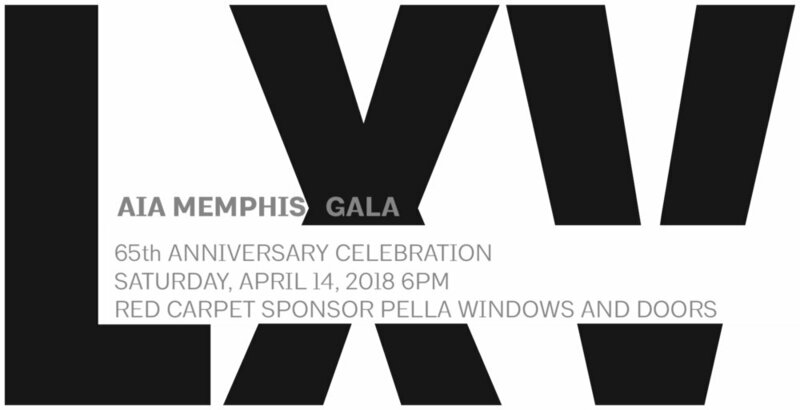 AIA Memphis will be kicking off our 65th anniversary celebration at The Gala on April 14 at Ballet Memphis in newly-revitalized Overton Square in Midtown Memphis! Join us for an exciting evening filled with food & drink, live ballet performances, the AIA Memphis Honors and Awards, and a look back at 65 Years! This is our signature event when architects, designers and allied partners come together to celebrate the profession and honor the many contributions made to the AIA and the Memphis community through design and leadership. Check out Gala Pics and the 2018 AIA Memphis Design Award Winners HERE! For information on marketing opportunities through this event, you can access the benefits package HERE. Check out Gala Pics and the 2017 AIA Memphis Design Award Winners HERE!